We would like to welcome the following children to Anderson's Bay School. It is wonderful to have you joining us. Please use this address for any future communication. Please ensure all payments are made to this account. 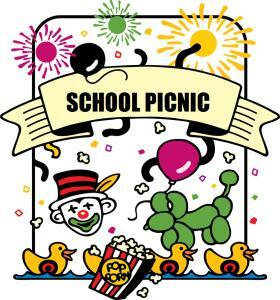 This year the school is holding a Picnic Day at the Woodhaugh Gardens on Thursday, 14 February 2019. Children will travel by bus to/from the gardens - leaving school at 10:30am and returning at 1:30pm. Current research is indicating that learning is improved when children play first and eat second. We would like to trial this during morning tea playtimes next week and if outcomes are positive; the change would be adopted. To tide children over to a later playlunch; the children are able to have a small veggie or fruit ‘brain-snack’ (half an apple, small carrot, celery stick etc) at about 9.30, and we ask that something suitable be included in their lunch box. At 10.30 children will go straight out to play and enjoy a good run-around. At 10.50 they will come in for morning-tea which allows time to eat and settle for the next learning period. We are interested to see if the change will improve learning. Parents will be informed of the results. We need volunteers who could give a regular one hour a week to helping young readers. To all our school families and wider community! 2019 is the "Year of the Pig". Early Birds is up and running for 2019. Mr Hinds and Mrs Ross will be in the Te Paihere/MLE from 8am to 8:30am Monday to Friday. Each session costs $4.00 per child. Children must not be dropped off to Early Birds before 8am. Cash put into an envelope with child/ren's name and Early Birds written on it and posted in the box in the school office. The school pool will be open every Saturday (excluding 16 February 2019) from 1pm to 3pm. Entry is by way of a gold coin donation. All children must be accompanied by an adult. A wide variety of instruments to choose from. Instruments available for affordable hire. Orchestras and ensemble groups for 2nd year players to advanced level. A variety class especially designed for young children: “Let’s Make Music”. George Street Normal School (Saturday morning). Bathgate Park School (Saturday morning). Late enrolments will be accepted throughout February. Enquiries: see website: smmcotago.com for contact details. Welcome to drum lessons in 2019 with Andrew Harray. I have been playing drums for 16 years, but hitting things since I was two. In that time I have played in various bands, orchestras, and even travelled the country on some tours. I love to pass on my passion and skills to anyone who is eager to learn. Drum lessons happen after school on Tuesdays. Send me an email or give me a ring to find out more. Stride, Ride & Slide is a multisport event for children aged 2-6 years old, which gives them the opportunity to participate in their very own multisport event. You can register your child/children online before 12.00pm Saturday 16 February or alternatively you are more than welcome to register on the day. On the day registrations will open from 9.30am. Those who have pre-registered go in the draw to win a major spot prize of a bike. Thanks to the generosity of Avanti! This is a very special prize draw for those who pre-register online before Saturday noon. Visit the Sport Otago website and register your mini triathlete for their ‘big kid’ event! $5.00 per child for online pre-registration or $8.00 on the day.